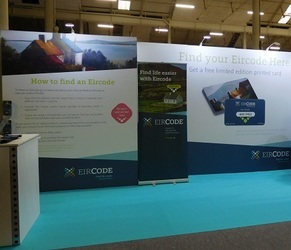 Over 15,000 people are expected to attend the year’s biggest art show, which will give Irish art lovers the unique chance to get their hands on 100 pieces of original artwork for €100 each on a first-come, first-served basis. 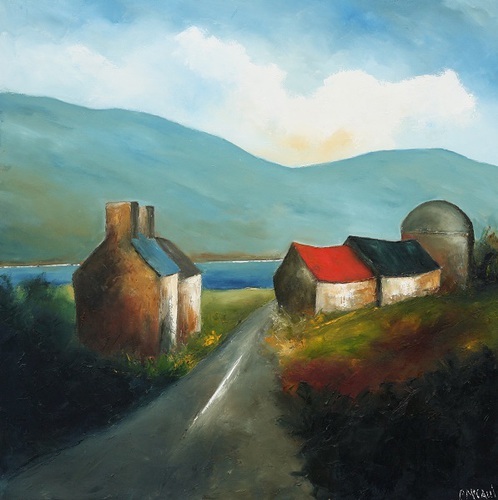 Achill-based painter Padraig McCaul found an enthusiastic audience for his work when he held an exhibition at the Kidogo Art House in Fremantle, Western Australia this summer. 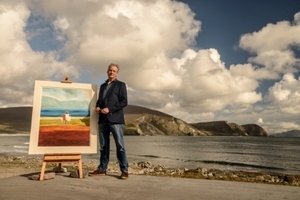 "The response was absolutely brilliant, there was a lot of interest not just among the Irish Diaspora but also from the Australian community, with the largest newspaper in the region doing a big article on my exhibition," said a delighted Padraig who has now returned to his Achill home. Padraig spent 18 months working in software development in San Francisco where he developed a business plan for becoming an artist. A business mentor, he advises artists on understanding their audience and finding out how to reach them and also how to overcome business challenges. Padraig played the saxophone in a Dublin Indie band called The Harvest Ministers who recorded four albums and were signed to London's Setanta label. He now plays with the Mayo Concert Orchestra. The Mayo artist takes the inspiration for his warm and vivid portraits of the landscape on his beloved Achill island from one of Australia's best-known sons, the artist Sidney Nolan. "I am very much inspired by Nolan's simplicity and the way he captures the colours, the textures and the vastness of the Australian outback. 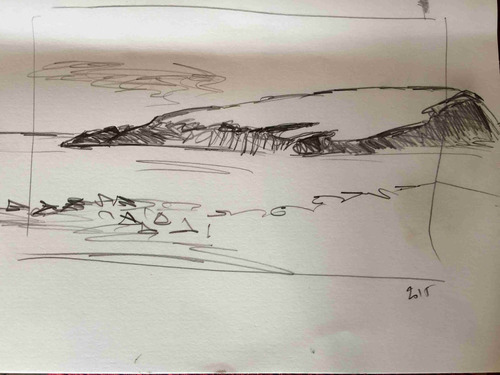 "It encouraged me to start using strong, primary colours and textures in the context of our own Irish landscape. 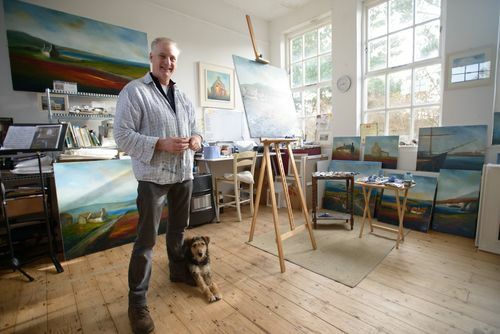 "I find the warmth of the colour is something that people really respond to, it gives them the feeling of almost being in the landscape," said Padraig. This year’s Art Source sold out in record time and features over 130 contemporary artists and 20 Irish and international galleries gathering together to showcase painting, sculpture, photography, illustration, prints and ceramic art. 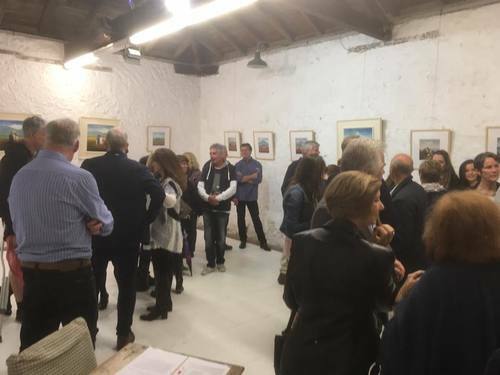 “Art Source offers visitors the opportunity to purchase a one-off affordable artwork to make their home unique and also the opportunity to meet the artists and hear about their work,” said show organiser Patrick O’Sullivan. There is a huge emphasis on visitor involvement at Art Source, and this year the show features interactive oil and resin painting demonstrations and there are free children’s art workshops for under 12s. Gormley’s Fine Art will be showing a selection of original screen prints by the anonymous British-based artist and political activist Banksy who has built a huge following despite his identity remaining a mystery. Among the pieces being shown by Gormley's are Banksy's iconic Flying Copper image of a policeman with a yellow smiley face, his Girl With A Balloon and his Tesco Tomato Soup Can parody on the work by Andy Warhol. A world-first cookbook is going to be a recipe for success at Art Source as two brothers undertake to raise funds to change the lives of impoverished children and displaced people abroad. Andrew and Calvin Sweeney, the founders of Syrias Vibes, will be selling The Artist's Cookbook which features creative recipes, illustrated by the artwork of 100 Irish and international artists. 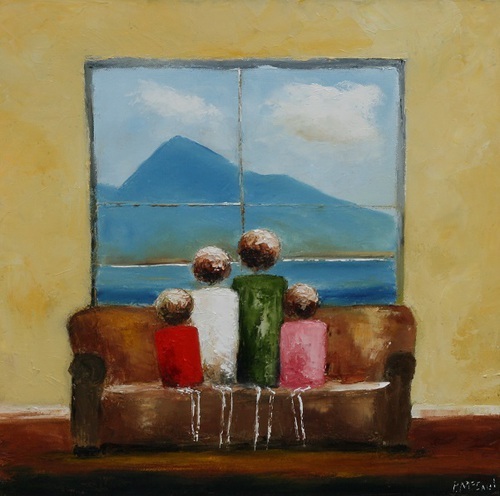 Art Source takes place at the RDS, Dublin, from November 10-12, admission is €10 adults, €8 OAPs. Children under 16 free only if accompanied by a parent or guardian. Opening times: Friday November 10: 11 a.m. to 9 p.m, Saturday, November 11: 10 a.m. to 6 p.m., Sunday, November 12: 10 a.m. to 6 p.m.